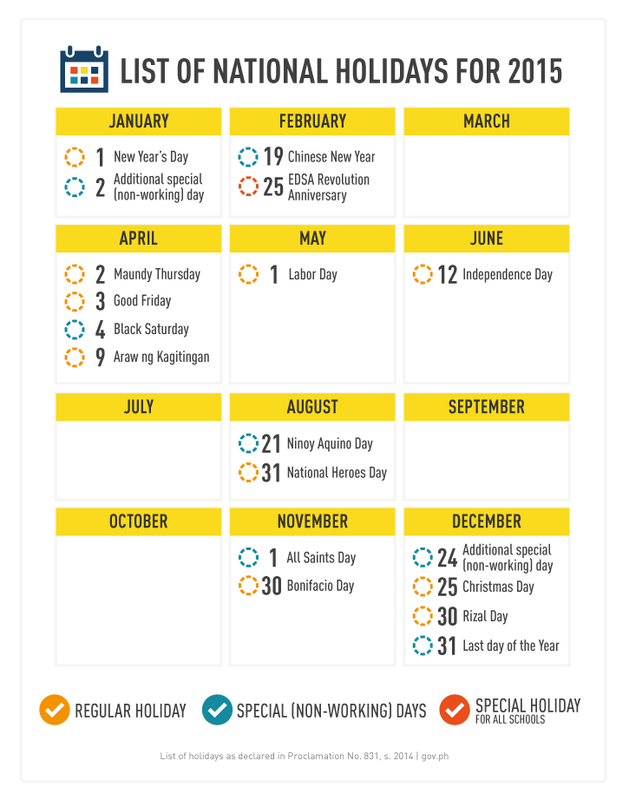 list of philippine holidays for 2015 | Badudets Everything Nice! Most of our trips were planned ahead of time that’s why it’s important that we have the list of Philippine National Holidays handy. I appreciate the fact that President Noynoy Aquino just released the list of Philippine holidays for 2015.